Do you remember falling asleep in your bedroom while staring up at the night sky? Who cares if your parents didn't know the first thing about astronomy when they put all those glowing stickers up there? It was still awesome. 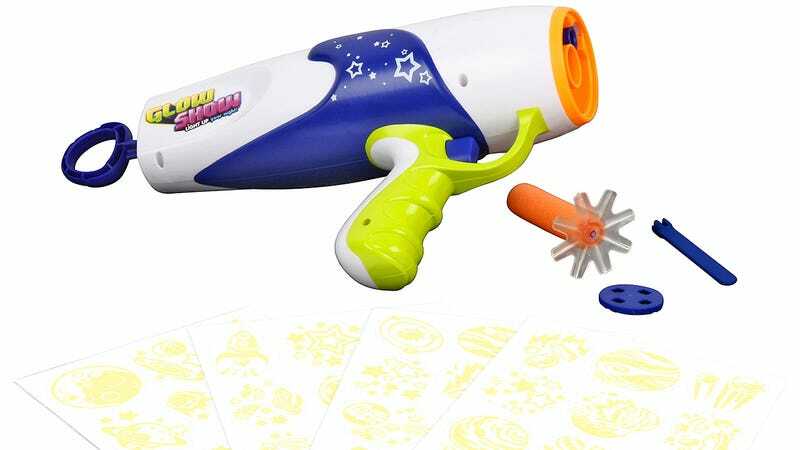 But that's a job that even kids can do now, without a ladder, thanks to this blaster that fires sticker-tipped darts. You don't even need to get out of bed to use the Glow Show blaster. All you need is a flat smooth ceiling, a steady hand, and a modicum of aim to create a complete solar system above your bed.